All the bells and whistles in great looking vehicle! I love my 2019 Equinox! I have only had it for a month, but I choose it for it is size, gas mileage and creature comforts. . I can connect my iPhone through the system click apple carplay and now on the screen I can have turn and turn navigation or my Pandora channels, have my texts read to me and dictate my replies, I have heated seats, great sound system and plenty of passenger room and cargo space. Oh, and park assist cameras, blind spot alert. This is just the coolest car! Super happy! Great gas mileage. Smooth ride. Reliable. I love how dependable my car is. I travel mostly in the city and some highway miles and I get great gas mileage for the amount of city driving I do in the SUV. I previously owned an Equinox and love it but it was a great fit for me at the time but now that I need a bigger vehicle for my family, I would never go back. It is comfortable and a very smooth ride. 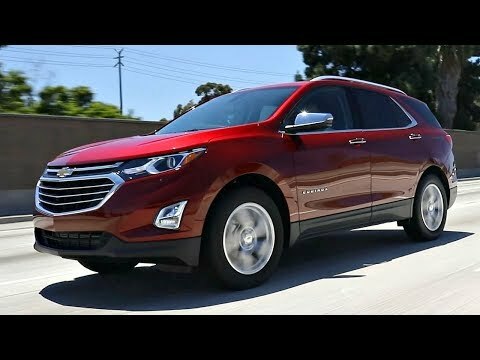 2019 Chevy Equinox: great screen. I drive an incredible amount and the comfort of this car makes the drive a lot more enjoyable. The performance is great, when I give it gas it goes, when I brake it brakes, and overall is a smooth ride. I got the basic model but the touch screen is super nice, and makes you more connected to your phone while keeping eyes on the road.